Finally, I got a chance to update my cakephp captcha support for CakePHP 3.x. It’s been quite long since CakePHP 3.x was out so I thought it was good to make it work finally. I had been receiving quite a lot of queries recently regarding the update. Actually it also gave me an opportunity to look at the CakePHP 3.x in depth and I was surprised to see massive changes in the framework as a whole, and I missed it for so long, phew! It looks like a lot of work been done by the CakePHP team for the good and I personally feel that this was actually mandatory and revolutionary update, in the view of new frameworks like Laravel becoming popular. So here is CakePHP Captcha 3.x support at Github. 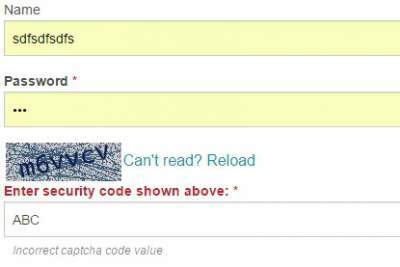 CakePHP Captcha 2.x support at Github is still there!